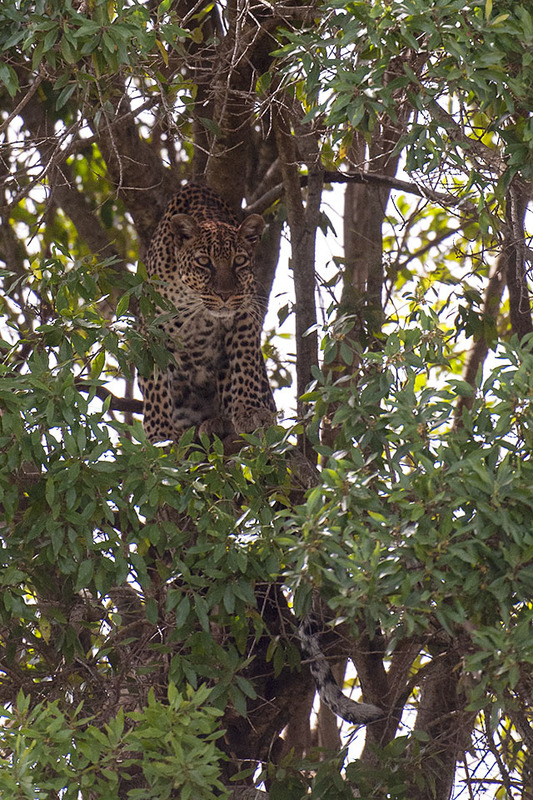 We were on our last game drive on this visit to Maasai Mara and had spotted the most popular Leopardess, sitting perfectly camouflaged on a tree that overlooks a stream. 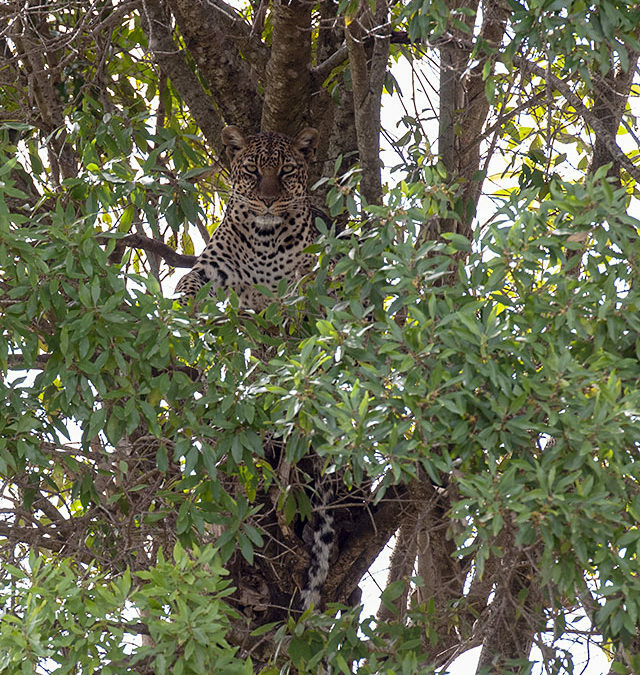 Our guide told us that this Leopardess sits patiently on the tree, almost invisible, waiting for an unsuspecting prey to come to the stream, and then ambushes it. We had waited for over an hour and a half for her to turn around and look in our direction. But when she did turnaround, what an amazing sight it was! 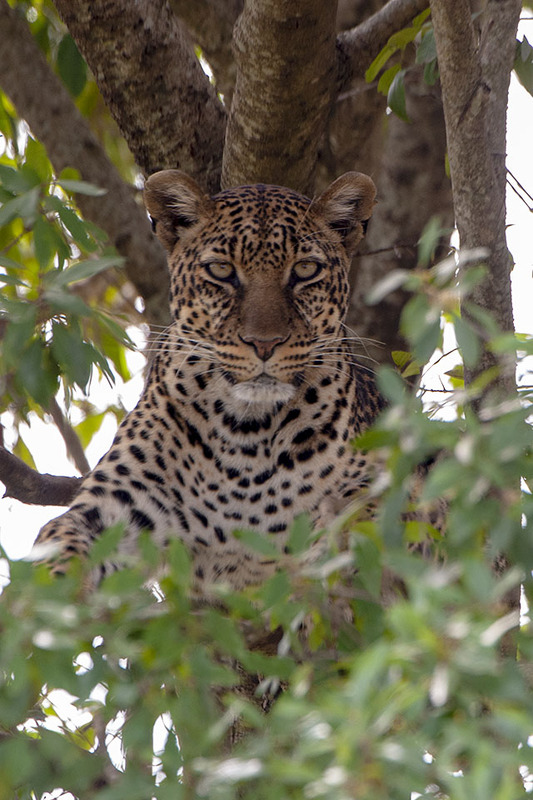 She sat there motionless with her eyes locked on the herd of Impala that were grazing at a distance and gradually moving towards the stream. It was an awesome sight. 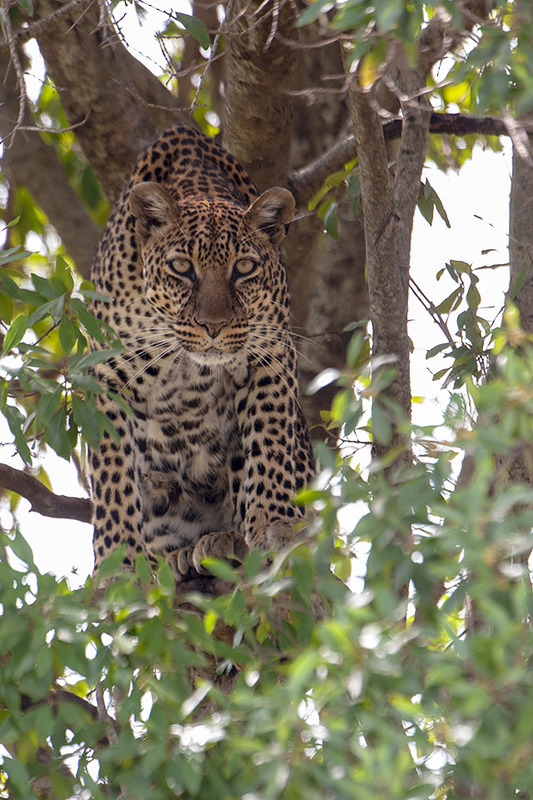 We ultimately left the Leopardess and went scouting for the Cheetah brothers who are known to patrol the fringes of Mara alongside the border with Tanzania. 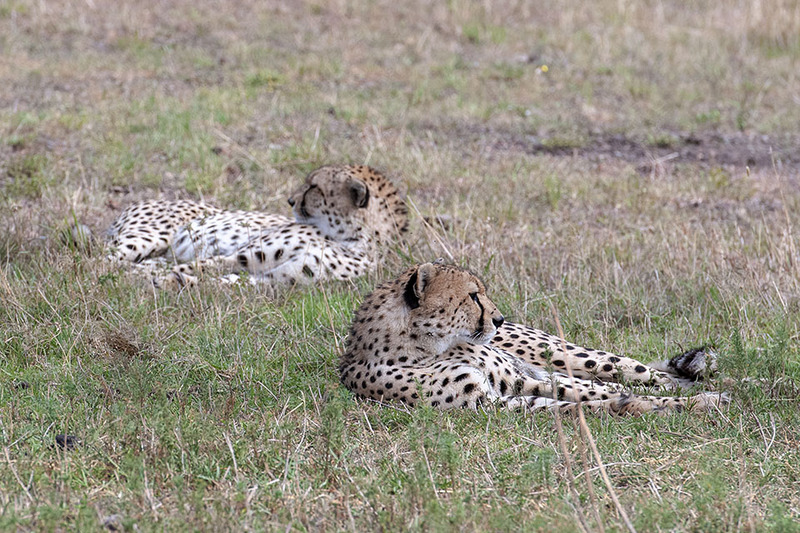 We did spot them, but they were sleeping, possibly after a sumptuous meal at dawn. 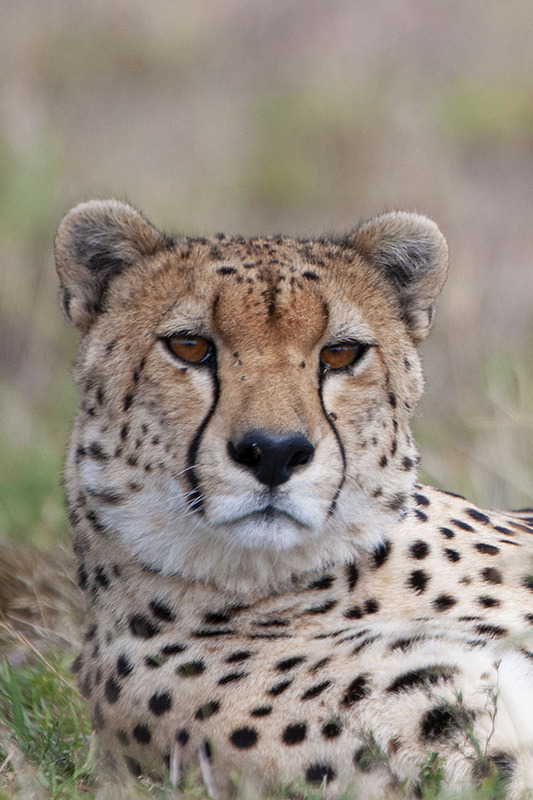 Every now and then one of the brothers would prop up its head and we would get a portrait with sleepy eyes.